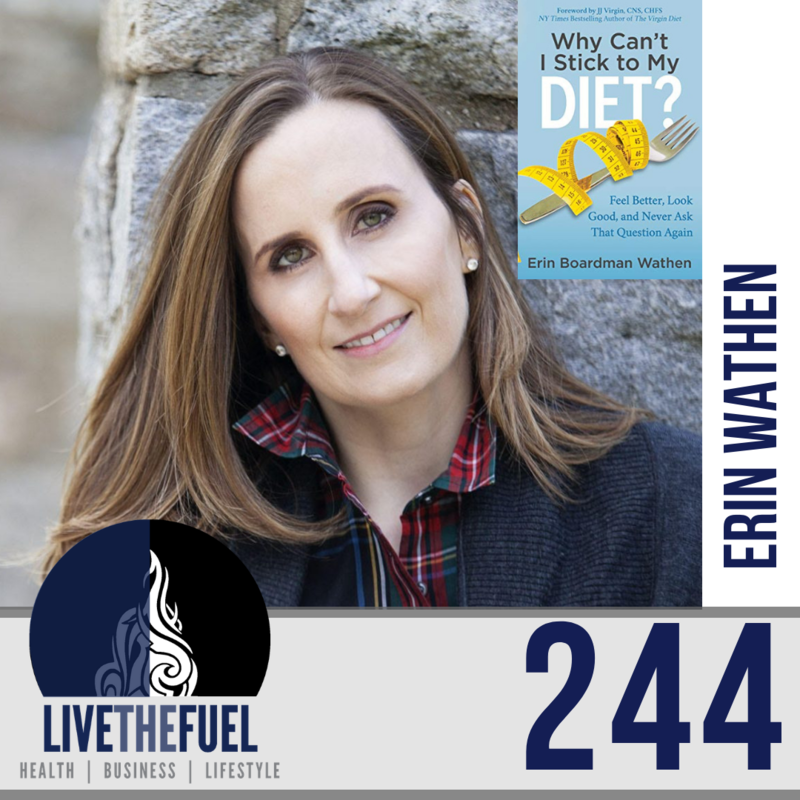 Erin Wathen (WATH- EN) is a holistic health coach, food abuse counselor, and the inspiring author of Why Can’t I Stick to My Diet? : How To End The Food Drama. Her philosophy, simply put: Health isn’t a number on the scale or how often we exercise, but our lives as a whole. Several years ago, Erin was not at peace with her body — despite her wealth of knowledge on diet and exercise. She was always on a diet, and yet never reached her goal weight. As a graduate of the Institute for Integrative Nutrition and a Food Addiction Counselor, Erin was well versed in the science behind health. As a Certified Spinning® Instructor, Vinyasa Yoga instructor, and Classical Pilates instructor, she understood the mechanics of health and fitness as well. 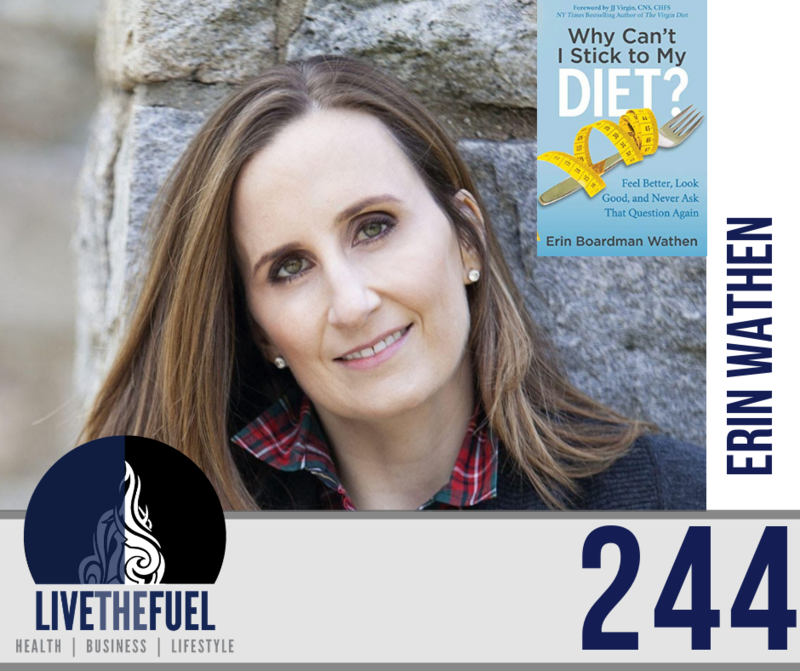 Through a lot of trial and error, Erin found true nutrition to be the missing piece of the puzzle. My all-encompassing message is, “it’s just food. It’s not your whole life. It’s not love. It’s not your family. Somewhere along the lines, food got out of order on our list of priorities, as I said with the oxygen analogy. So if we can just put it back to where it belongs, to me, support needs to be high quality, but it’s not your friend. It’s not entertainment. It needs to to be healthy. It needs to be good, but it’s not the answer to any of our problems other than hunger. The Book on Amazon: Why Can’t I Stick To My Diet? [07:30] Book writing, audiobooks, and triathlons. [13:15] I do see the balance of a good yoga session. It’s great for breathing exercises too when you really get into it. [20:15] I was very active. But then I never really understood why my body didn’t look how I wanted it to be too. I wasn’t ever by any means fat, as you would call it. I didn’t necessarily like how I looked like I should have. The classic lean and mean quote type of thing or the defined look. [30:00] I went to, I don’t know why they let me in, but a manufactured food conference in Chicago. I met someone who sells high fructose corn syrup. I met a woman that works for the Wheat Council. So I was like, did you let the wrong person in here? [40:00] So sugar on top of sugar. [50:10] The thing about fast food is that people don’t understand that it’s all lab created to hit all our buttons.